If you’re the guy who thinks splashing his face with water in the shower once a day is all he needs for his skincare routine, you’re not alone. Most men don’t put much thought into the health of their skin. It’s not like you have makeup to wash off at the end of the day, and what does all of that “face stuff” really do anyways? The answer is, a lot! We’re here to help you find a simple, easy skincare routine that won’t have you running for the nearest exit. Although men tend to have thicker, more durable skin, shaving can irritate the skin causing redness and ingrown hairs. Men also aren’t immune to stubborn blackheads and breakouts. Use a cleanser that exfoliates to help reduce the build up of blackheads and ingrown hairs. 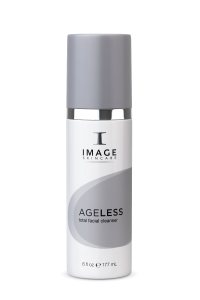 We recommend Ageless Total Facial Cleanser, a daily, universal body and facial cleanser that exfoliates and tones for ultimate skin balance. Use a 2 in 1 moisturizer that works to keep your skin hydrated and to protect it from the sun’s harmful rays. We recommend Prevention+ Daily Hydrating Moisturizer with built in broad spectrum UVA/UVB sun protection. We know what you’re thinking… Men don’t need all that anti-aging stuff. Even though you may not be seeing wrinkles now, you’ll be glad you gave in to our suggestion and invested in some anti-aging serum. We recommend The MAX Stem Cell Serum an exclusive complex that supports natural defense mechanisms and promotes cell health. There you have it; 3 simple steps to improve your appearance and the health of your skin. You’ll be glad you started this routine ten years from now, when your skin looks better than ever.